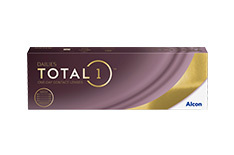 We understand that every contact lens wearer has their own unique needs and that is why we have a selection of over 110 products from well-known brands. 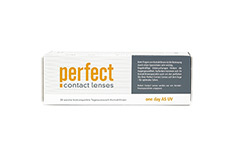 Order contact lenses straight to your door, and take advantage of low prices, high quality service and fast delivery. 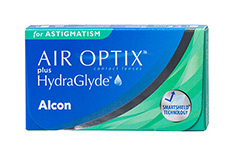 Take a look at how to buy contact lenses online and find the right pair today. 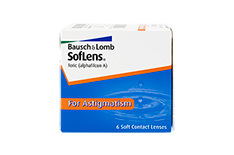 Are you shortsighted or longsighted? Short-sightedness means you have trouble focusing on objects in the distance and have dioptre numbers in the minus range. Long-sightedness, on the other hand, is where you have trouble focusing on objects that are close up and have dioptre numbers in the plus range. 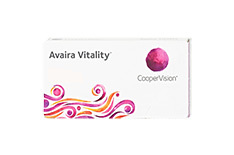 Whether shortsighted or longsighted, a visual defect arises from the fact that the shape of the eyeball is not round, but rather stretched or compressed. 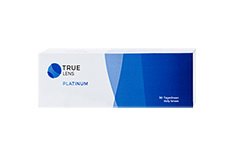 As a result, the light focused across the eye lens does not meet the centre of the eye, but lies just in front of or behind it. 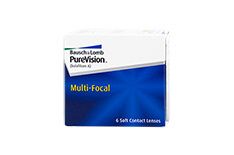 Spherical contact lenses can correct these vision problems very easily. 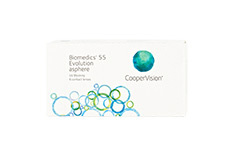 Spherical lenses (as well as glasses) change the optics of the eyeball, so that the focal plane hits the correct position on the eye, allowing you to see clearly. 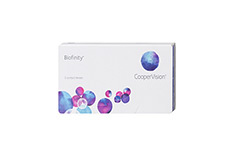 Since contact lenses sit directly on the eyeball, they are much closer to the eye than the lenses of your glasses, which is why the dioptre values of the two visual aids are different. 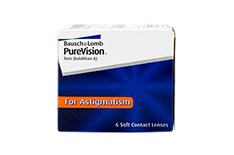 Astigmatism causes the eye to see objects distorted. 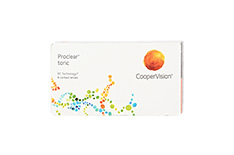 This is because the cornea is not cylindrical but elliptically-shaped and therefore the refraction no longer runs perfectly. 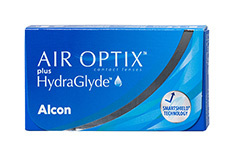 Toric contact lenses even out this problem. 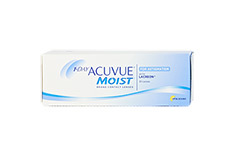 The lenses form a pad of tear fluid on the eye, creating the cylindrical shape for correct, clear vision. 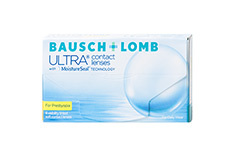 Toric contact lenses should prescribed and checked by a doctor or an optician, as they must sit properly to prevent eye damage. Toric lenses can be identified by the addition of "toric" or "astigmatism" on the packaging. 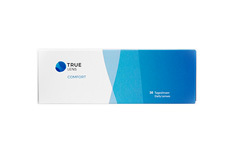 There are toric contact lenses available in all common dioptre values for short- and longsightedness. 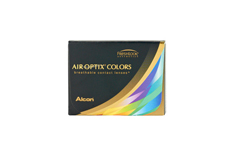 Buy toric lenses online from us and save. In the relaxed state, the human eye is designed to see objects in the distance. In order to focus on objects close by, the ring muscles pull together in the eye and change the shape of the eye's lens, allowing you to see objects in your immediate vicinity clearly. 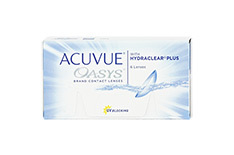 As we age, the elasticity of the ocular lens decreases. 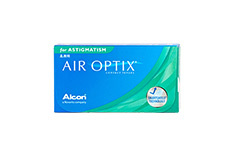 While small children can easily compensate for +3 dioptres without glasses, adults from about 40 years of age may have problems seeing, even if they are not shortsighted. 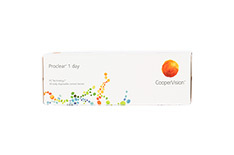 The technical term for this condition is presbyopia. If you are shortsighted and develop presbyopia as you age, you need a vision aid that allows you to see near and far with different sharpness zones. Multifocal contact lenses are the answer. 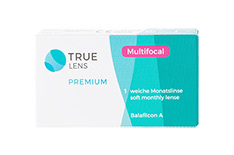 These varifocal lenses are easily recognisable by the addition of "multifocal" or "for presbyopia" in the name. 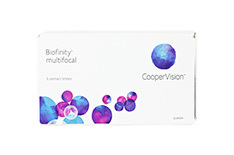 We have a great selection of multifocal lenses available online for great prices. 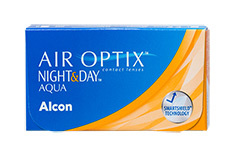 How long do you want to wear your contact lenses? 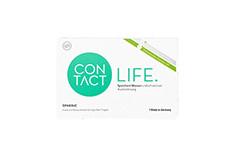 If you are a regular glasses wearer who just wants to have contact lenses on certain occasions, then daily contact lenses are the right choice for you. 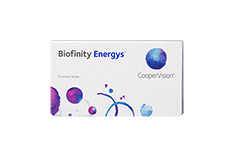 They are put into the eye in the morning and taken out and disposed of in the evening before going to bed. 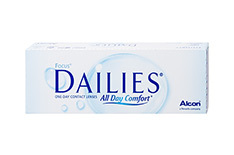 You can often recognise these practical lenses by the addition of "dailies", "daily" or "1 day" in the name. 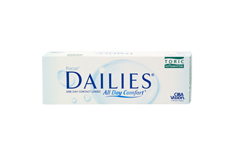 For daily lenses, you do not need any contact lens care products, you simply remove the daily lenses from the sterile pack with clean hands and insert them. 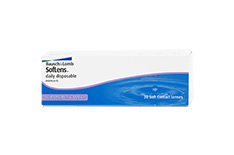 We do recommend, though, having a small supply of contact lens solution, just in case something gets in your eye and you need to clean them. 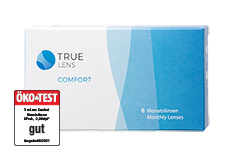 If you switch regularly between contact lenses and a pair of glasses, then weekly lenses could be the right choice for you. 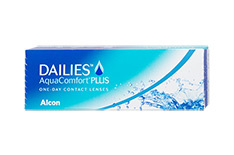 These contact lenses may be worn for 14 days from the moment you open the package. 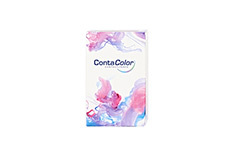 In the evening they are cleaned with contact lens cleaner and disinfected overnight. 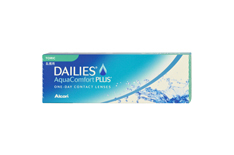 For people with sensitive eyes or who want a high level of hygiene, weekly lenses are a good compromise between day and monthly lenses. 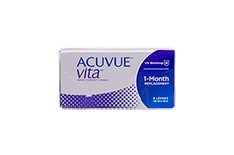 Monthly contact lenses can be used for up to 30 days after opening. 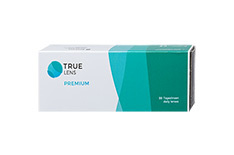 As with weekly lenses, the correct care is very important with monthly lenses. 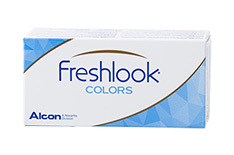 There are many products on the market, and several different storage and care products can be used to keep monthly lenses clean and fresh. Ask an optician about the individual composition of care products so your individual needs or allergies can be taken into account. 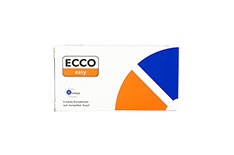 Your optician can also provide valuable tips for proper care. 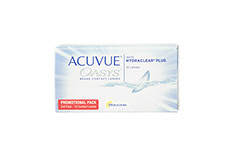 If you suffer from dry eyes, this does not necessarily mean that you can never wear contact lenses. 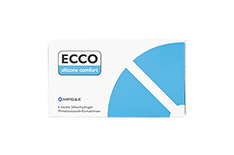 Silicone-hydrogel lenses avoid excessive fluid drainage in the eye and also support the moistening of the eye. 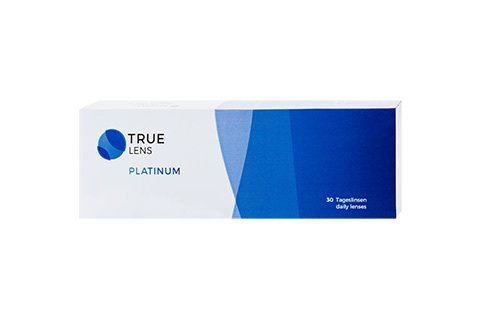 These state-of-the-art versions of lenses consist of a material that absorbs water very quickly on one side and releases it slowly. Due to these "water deposits", these contact lenses are better supplied with water and do not withdraw so much tear liquid. 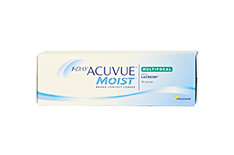 Compared to hydrogel contact lenses, they require 20% less water, which means that less fluid is absorbed from the eye. 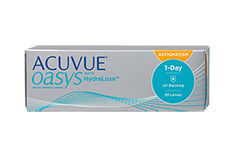 If your existing contact lenses cause dry eyes, this is probably due to using the wrong product, or lack of care. Hormonal changes can also lead to dry eyes, which means that once well-tolerated lenses can suddenly no longer work as well. 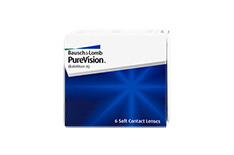 Be sure to consult your optician or ophthalmologist to find the right contact lenses for you. 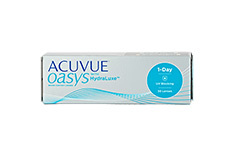 If you are planning to use contact lenses for the first time, you should seek advice from an optician or ophthalmologist. 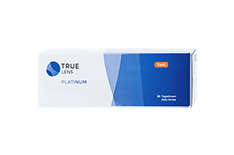 He or she can help you find the right type of lens and give you vital information about fit, care and more. 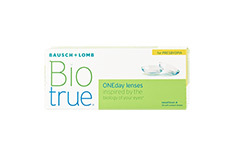 With the wrong lenses, you risk eye irritation and even severe eye damage. If you want to rely on "hard" contact lenses, a fitting with an expert is an absolute must. 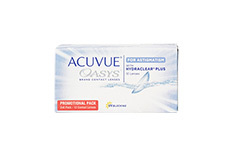 And even as an experienced contact lens wearer, you should have a check-up with your optician or ophthalmologist once a year to check whether your eyes have changed. 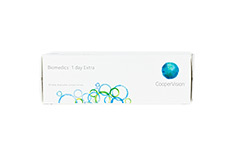 Talk to our customer service experts for more information. 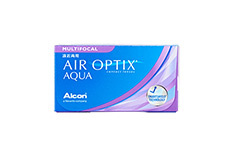 Our online section of contact lenses includes all the all well-known manufacturers such as Air Optix, Biofinity, Acuvue, Proclear and many more. 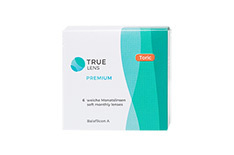 Our house brand TrueLens offers you particularly high-quality contact lenses at terrific prices. 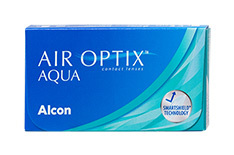 Find the right pair of contact lenses from Mister Spex today!